What is that? What on Earth happened? Truthfully, this is something I found on facebook. Looks to me like the load is too heavy for the lift and it may not be close enough to the mast to support it. This is an unfortunate situation that happens when you don’t have the right equipment. The simple truth of the matter is that the lift is overburdened and can not take the strain. Sometimes we feel overburdened as well. It could just be from daily stress. It could also be from a temptation that we find hard to resist. Adam and Eve were tempted by Satan. Sadly, they gave into temptation and brought the curse of death upon humanity. Likewise, Satan also tempted Christ Jesus, who was able to resist Satan, causing him to flee. Temptation is like a weight. It may not always feel very heavy, thus we can resist it easily. However, temptation can sometimes be quite difficult to resist. Maybe its just one more small slice of cheesecake, or just another shot of whiskey. Regardless of what it is, there will always be something that is tempting to us. 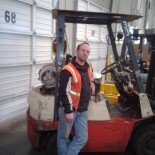 If we give in, just like an overloaded forklift, it will knock us down. What can we do about temptation? Truthfully, temptations are going to come and go. However, if we turn towards Christ Jesus when we are tempted, we can overcome temptation. In 1 Corinthians 10:13 it is aptly written “No temptation has overtaken you that is not common to man. God is faithful, and he will not let you be tempted beyond your ability, but with the temptation he will also provide the way of escape, that you may be able to endure it.” What is that way of escape? Just as I have already said, we must turn immediately to our Lord Christ Jesus when we feel tempted. That is our way to escape temptation. If you are feeling tempted by something that is difficult to resist and you know it is wrong, it is time to turn and call upon him who could not be tempted. Christ Jesus resisted sin and overcame death and the grave, and ascended to the throne of God. He can certainly help you to resist any temptation you face. 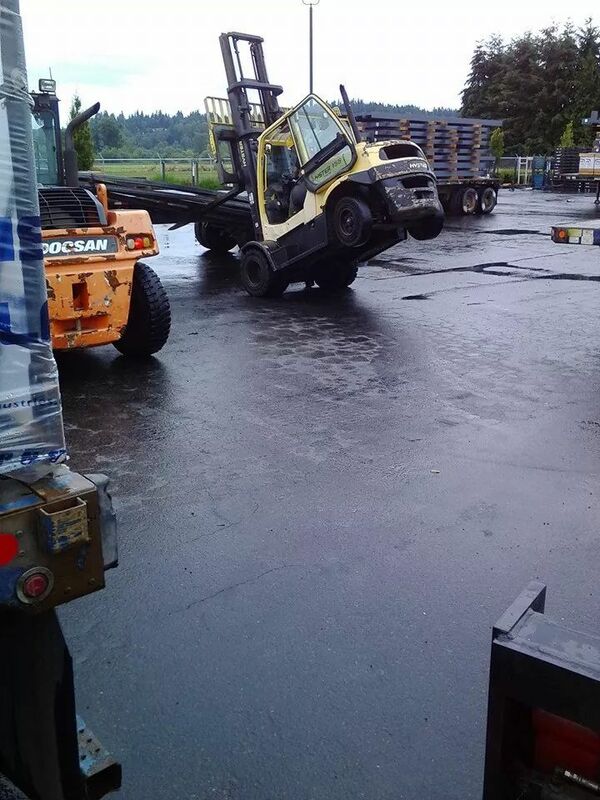 Temptation can be like a load that is too heavy to lift by one person, or by one forklift. However, when we turn to our Lord and ask for help, it like having another person or forklift coming along side to help carry the load. Then the temptation is no longer difficult to resist and thus Satan is forced to flee. Just trust Jesus to guide you in life and when temptation comes, just like a load too heavy for one forklift, Jesus will help you to overcome that temptation, just like having a second lift to help lift and balance a heavy load. We can’t do it alone, but through Christ we are more than conquerors. The Bible assures of that. This entry was posted on 27/07/2014 by Christopher Rose in Uncategorized and tagged 1 Corinthians 10:13, Adam, Christ Jesus, Eve, forklift, overburdened, Satan, Temptation.